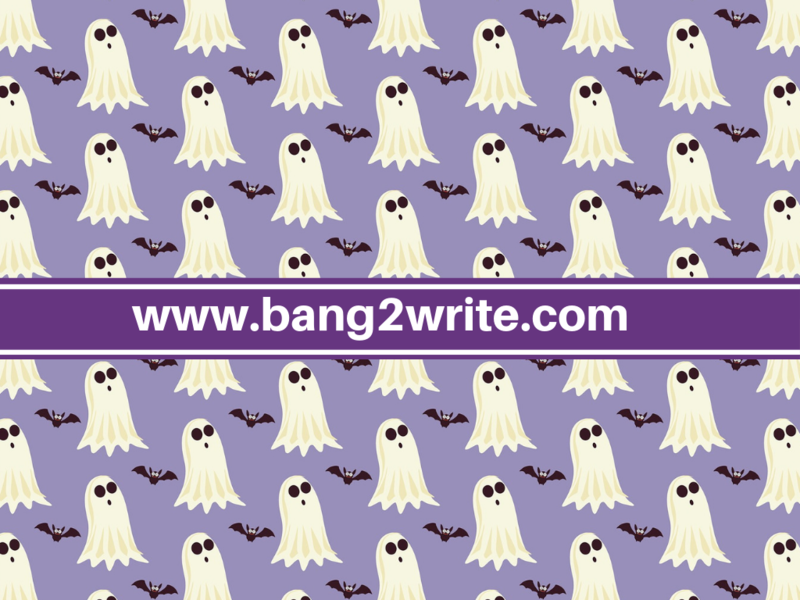 Ever been ghosted as a writer? 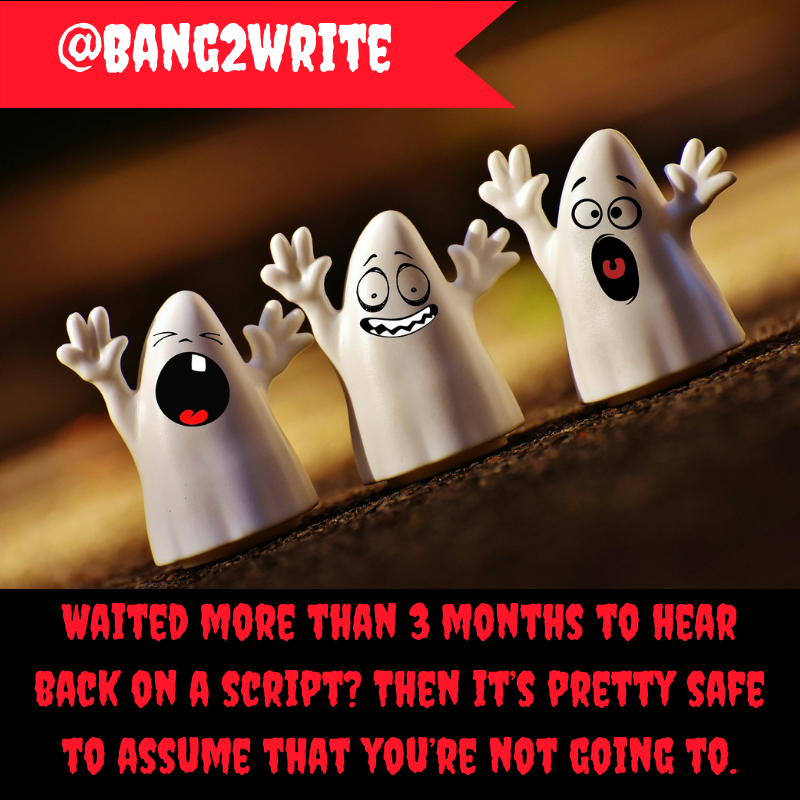 If so, you know how it goes: you make contact with an agent, producer or publisher and submit some work to them. Then you wait … Then chase them … Wait … Then chase them again. And so it goes on. You begin to despair and question yourself. Sound familiar? 1) Check – have you *really* been ghosted? Producers and agents are busy, and it can take time to get back to people. If you’re approaching a large company, you may have to wait a number of weeks, or even months. Smaller companies may take less time to get back to you. It’s your right to chase up producers and agents if you’ve not heard back – but always remember to be polite and don’t hassle them. Not sure how many times, or which ways to chase? Everyone is different, but a good rule of thumb is a couple of emails and a call (over a few months), then leave it. If you haven’t heard back by then, you’re probably not going to. Don’t let your ghosting haunt you. The minute you get the sense you may have been ignored, you should move on by putting another query out there straight away. It’s a good idea to have a list of people you’re approaching with your work, with a ‘notes’ column. Make a note of the ghoster so you’ll remember them for next time. Is there someone else you can contact at their firm next time around? You can spend hours agonising over why the person has ghosted you, but the truth is you’ll probably never know. Don’t worked up or angry either – it won’t do you any good, and only slows you down more and distracts you from your goals. Instead, start working on another project or see point 2 above. An occasional ghosting happens to many of us, but if you’re consistently being spooked by silent rejection, it might be worth checking your approach to see if you’re doing anything wrong. There’s a handy list of how to turn your queries into dazzling gems here. They have chosen not to contact you for whatever reason – and you’ll probably never know why. It’s a crappy thing to do, but you’ve no recourse to hit back at them. There’s still a chance – however slim – that there’s a genuine reason they’ve not replied. If you send them an angry note or talk badly about them on social media, you’re killing your future chances. You’ll probably get ghosted again. When you do, you’ll know that like rejection, the pain DOES go away. In years to come you may find yourself in the position where you can ghost someone. Don’t. Just remember what it feels like now. Be polite, professional and friendly – always. If someone has ghosted you it’s very likely they’ve done the same to others. It may come back to bite them eventually, but this revenge isn’t your dish to serve. We increasingly live in a swipe-left world, where unfortunately it can be easier for people to ignore you than just say ‘no’. You can’t change how someone deals with you, but can change how you react to them. Getting ghosted isn’t nice, but it won’t kill you or your career. Move on. MORE: When Is A Rejection A Rejection, If I Don’t Hear Anything? BIO: TR Guest writes screenplays, plays and prose. He currently has an optioned screenplay in pre-production, a short film in development and is halfway through a novel, adapted from one of his screenplays.